SCHOOL pupils and teachers were delighted when a long shot appeal for help to find a new library was answered by a bus company. Children at Farfield Primary School sent handwritten letters to transport companies asking if they could buy an ex-fleet vehicle to park in the playground. 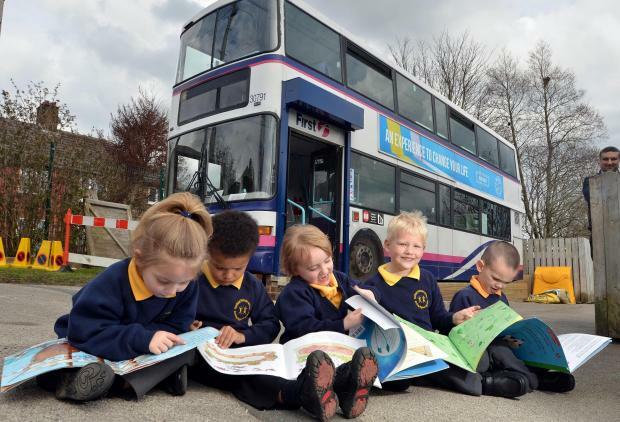 First Bus replied and a decommissioned double decker is now in place at the school in Reevy Crescent, Buttershaw, and will be ready to use as library next month.